Our experience and years in business are unmatched in the Western Canadian sign industry. We employ trained and experienced Graphic Designers that are familiar with sign industry design. Capable of logo design, company re-branding, and signage optimization services. Will create the most accurate and competitive representation of signage for client approval before any commitment is made. 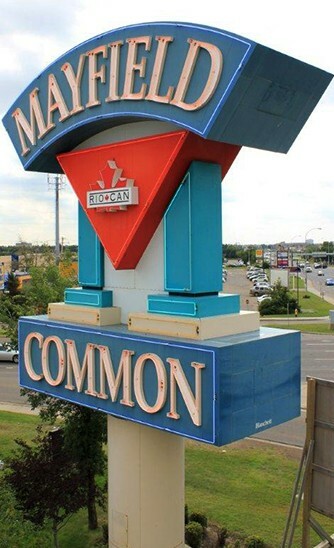 Original renderings of the most effective signage solution for your Edmonton signage. Creating signage criteria for Landlords and Shopping Centres. Handling paperwork to submit Permit applications, and appeals on your behalf. Largest Installation fleet in Edmonton. In-house factory trained and experienced technicians. Software Training and content creation services available. Have assisted numerous jurisdictions in creating and writing effective Digital Signage bylaws. Our trained and certified in-house Installation team is capable of installing signage across Western Canada. Blanchett can help maintain your signage investment with a comprehensive Service and Maintenance Agreement. We are proud to have achieved active COR status for our industry leading safety program. Learn more about Blanchett Neon’s industry-leading safety initiative, including our COR Certification.